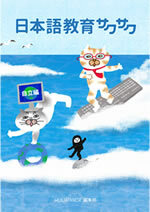 Between the 90s and 2010, Webjapanese was a group of Japanese teachers working mainly in Tokyo. Today, together with our staffs living around the globe, we have grown to become a publishing group creating books for global markets such as Amazon. We work under the concept of creating reasonably good books in affordable prices which can be long enjoyed by many people. We strive to create authentic books together with leading experts in each domain. Processes such as writing, editing, DTP (desktop publishing) are all executed via Cloud. We work hand in hand with writers using shared platforms to make necessary revisions during the whole process. Being a small publishing group of professionals including university researchers (PhD holders), our aim is not only limited to creating language related books and Japanese instruction books but also to produce not-so-fancy but intellectually fun and inspiring books. We believe that good books have the right to be translated and sold in various languages around the world. Our collection is simple. Binding formats and prices are all uniform. The Japanese version is available in two formats: the library series and the booklet series. 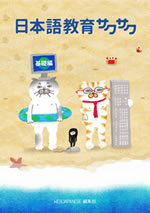 Translated version is available in a single series. The price of a digital version is around 5 US dollars whereas the printed version is between 8 to 10 US dollars. The binding is identical for we have confidence in their contents. Below are our selection of books English. Please click on the title to be guided to a detailed information page. You can also find them from the menu above.